The holidays are around the corner! Are you prepared for your company holiday party? If you’re looking to spice up your holiday party entertainment this year, a photo booth rental is the perfect addition. Brian Pisor of TapSnap 1062, who was recently featured on Carolina’s CW 62 talk show, Studio 62, demonstrated how TapSnap can take your company holiday party from good to great! Watch this video to see TapSnap in action. A TapSnap photo booth rental is a great way to amp up your holiday party entertainment. Not convinced? TapSnap also spiced up The Big Bang Theory’s holiday party last year—the cast loved it! Here are more great reasons why your holiday party needs a photo booth. 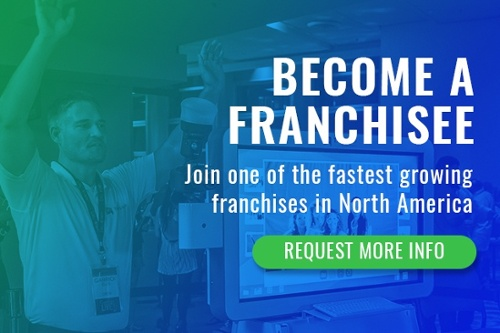 Brian is amongst our many successful franchisees, and we couldn’t be more proud of his feature. Congratulations Brian! We can’t wait for your next TV appearance.